HANK PHILLIPPI RYAN: Yay, Edith. Is all I can say. Edith Maxwell, you know her, right? A stalwart here in the Jungle--funny and wise and thoughtful and one of the most centered and passionate people you could ever know. And now, her mysteries are out there in the world for everyone to read--look at that gorgeous cover! Are everyone here is cheering and applauding and so happy for her! So of course, we had to invite her to tell you all about her new book--but instead, she's really discussing something...else. Friday, we chatted about hockey here, and I said--whoa, here's something we've never talked about on Jungle Red. Well, today...something else we've never discussed. Thanks so much, Hank, for having me to visit! I wanted to talk a bit about how farming and attending births are related. Uh, howzzat, you ask? Well, hear me out. A long time ago and a few miles away, I co-owned a small certified-organic farm north of Boston. I was the farmer. I had two little boys who attended school and preschool. I had a (now-ex) husband who worked in Boston. I planned and planted, tilled and weeded, composted and cover cropped, reaped and sold. And then started all over again. I had left a full-time career working in speech recognition for a hi-tech (Kurzweil) company to be home with my kids while they were young. At the same time I also taught prepared childbirth classes in my living room. It wasn't strictly Lamaze or Bradley methods, just trying to get couples comfortable with whatever might happen at the birth of their baby. We practiced relaxing. They talked about those weird pregnancy dreams moms-to-be (and sometimes dads) have about their baby turning into a rat or losing the child in some dark hallway. We went through all the kinds of procedures that a hospital stay might include and what the physiological process of late pregnancy and birth is. And then we had doll-diapering races between the dads. In addition, I worked as a doula, hiring out as labor support. These were sweet and challenging times for me as a farmer, as a mother, as a birth support person, as a wife, even. For the first time in my adult life I depended on someone else for much of my financial wellbeing, farming and childbirth education not being all that lucrative. 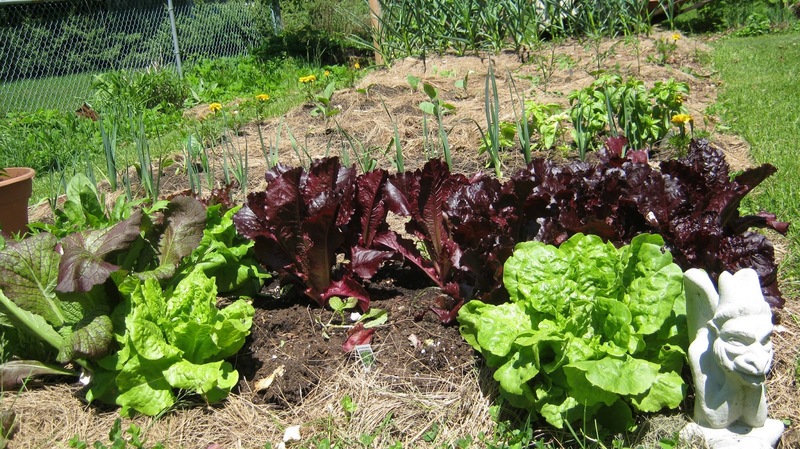 I loved growing organic vegetables and fruits, and I was good at it. I loved coaching nervous couples to learn all they could about this mysterious process they were about to go through and then trust their bodies to do the work, and apparently I was good at that, too. The hardest and most rewarding work was staying home with my own babies and trying to find something interesting to talk about with my husband at dinner that didn't involve poop or play dates. Lately I've been thinking about the similarities between growing food and attending births. It's a real miracle to watch a baby come into this world. Women go down into death and bring forth life, every single time. Smooth progress can be interfered with by overly cautious care providers, by a slim-hipped woman with a large-headed baby, by fear, by malnutrition. 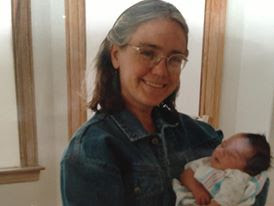 My job as a doula was to intermediate between the couple and the hospital, explaining procedures to the couple, making sure the medical staff knew the couple's wishes, helping the mom and dad feel comfortable. My job as a farmer was to intermediate between the seed, the soil, the weather, and my customers. Smooth progress can be interfered with by applying insecticides that wipe out beneficial insects along with pesky ones, by rainstorms that wash out the field just after planting, by neglecting weeds until they are bigger than the crop, by trying to grow varieties that don't flourish in this temperature zone, by a drought. Both jobs involve a kind of midwifery as well as an element of uncertainty. I'm glad I wasn't completely responsible for the births, and I'm also glad I now have a small backyard garden instead of a one-acre intensive farm. But as farmer and doula, I strived for smooth progress. And mostly got it. I started writing this farm mystery during the winter before my last farming season almost twenty years ago. I didn't use any of the actual writing when I got going on it again last year, but I used the world I had set up: geek-turned-organic farmer Cam Flaherty, her small farm, the fictional town of Westbury, the chef and local-foods restaurant, and locally sourced murder. I added the Locavore Club and the plucky Girl Scout volunteer, and more. So far the series doesn't include any childbirth scenes, but you never know what might pop into book three or beyond! Readers, what kind of unusual occupations do you like to read about? Are there any that stretch the imagination a little too much? Writers,what's the most intriguing part of your own past that you have worked into your books? Is there anything that's off limits? Edith Maxwell writes the Local Foods Mysteries. 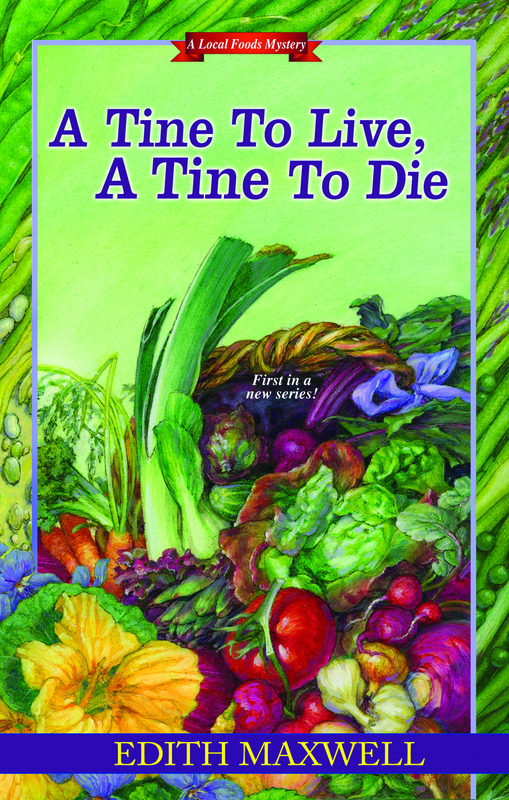 A TINE TO LIVE, A TINE TO DIE introduces geek-turned-organic farmer Cam Flaherty, a colorful Locavore Club, and locally sourced murder. Edith once owned and operated the smallest certified-organic farm in Essex County, Massachusetts. Tace Baker, Edith Maxwell's pseudonym, is the author of SPEAKING OF MURDER (Barking Rain Press, Sept 2012) featuring Quaker linguistics professor Lauren Rousseau. Edith holds a PhD in linguistics and is a long-time member of the Society of Friends. Getting to stay home with the Little Ones is a reward in itself, but what an amazingly diverse group of activities! Although each certainly seems to bring its own specific satisfaction or rewarding feeling, I wonder if you had a particular “favorite” during those "stay-at-home" years? Congratulations on the new book . . . what a great cover! Yay, Edith--I am happy to say it too. And would you please write a series, or a novel, or a short story, based on your doula experiences? Big congrats, Edith. And what a beautiful cover. YAY! Yay Edith! <3 I'm so excited about your book! What a wonderful thing you did helping babies of all types, plant and people babies, enter the world! This is such a fun coincidence, because I just now -- just this minute -- finished reading about a French woman who spent her entire adult life in the French countryside loving and doing similar things by choice. The blogger who wrote about her, Anne Morddel, says that for all that time she lived less than five kilometers from where she married, had her children, and cared for her farm. But she did not grow up there. She had been a sophisticated and beautiful young woman of the city until the fall of France in 1940. When eastern France was invaded, thousands of people rushed onto trains going anywhere else. She and her family landed in Dordogne where they were housed and protected by the local people. When the war was over her family went home, but she refused to leave. She sent a postcard to her father, “I’m staying. I like it here.” Her family was horrified, and her father went to bring her home. He found her happy raising her children and planting her potager. Edith, I love how you describe your time in the country, and I am sure I will love your book! I'll add to the chorus...Yay, Edith! I'm so excited for you. Have you seen "Call the Midwife?" I haven't read the book that inspired the program but the shows were terrific. I loved it. I bet a book based on your experiences would be wonderful. Congratulations, Edith. I look forward to reading your book. Thanks, Joan. One thing I loved was when the couples would bring all their babies to a reunion meeting of the class and we'd line them up on the couch for a picture, wedging little three-month olds next to each other as if they could sit up. Ramona, great idea! So many inspirations, so little time. Thanks, so much, Jack. I love the cover, too (although it bears NO resemblance to the cover suggestions I sent them upon request...). I appreciate that, Reine. And what an intriguing story! Marianne, I will check into that book/show. I watch no television and hadn't even heard of it but I'm sure I would love it. Mostly thanks SO much to the fabulous Hank for having me over as a guest! This is the first blog I read every morning and I'm honored to be answering comments instead of making them. It's a great day for me - my launch party is this afternoon right after our local (huge, thriving) Farmers' Market. I'll be kicking off an independent bookstore's Farmers' Market Reading Series. And both my wonderful sons will be with me, too, a rare occurrence these days. YOUr launch party is TODAY! SO fabulous! DO send photos...and congratulations! Hank, I always cried at the births. One I attended the dad asked me to film it, and all you can hear is me exclaiming and weeping! It's the most amazing, beautiful thing. Great blog. Love learning about authors - and seeing what shows up I the books they write. It makes the books they write even more special. Happy launch day. Happy launch day, Edith! And juge congratulations! Isn't it amazing to look back on all the things we did when we were younger? I always feel as if I'm looking at someone else's life. Can't wait to have your book in my hands. Enjoy your book launch and celebrate! I knew what you meant, Linda! And thank you. It's celebratory day, all right, and it happens to be knock-dead gorgeous weather up here, too! I wish all the Jungle Red bloggers and commenters could magically appear in Newburyport today at 1. Wouldn't that be fun? One North Shore girl to another, I would love to be in Newburyport! So very happy for you! Have a great launch. Happy launch! It's always fun to get in on the start of a new series. Edith, I want to jump in with the others and request a short story or book or blog post about your baby-birthing experiences. While visiting relatives for Easter I watched Call the Midwife with them. I liked it enough that I bought the first season on DVD when I returned home, and I borrowed the book from the library. (And a friend taped the episodes from the second season for me, since I do not have TV. Now she has become a fan, too.) I believe that someone with your experience would appreciate it even more than I.
I loved A Tine to Live, A Tine to Die. I look forward to getting to know more about Cam and her friends! It is a good idea, Deb. I am plotting a historical mystery series, too, in which John Greenleaf Whittier will play a role. I could easily work some home births into the life of my young female protagonist! Congrats, Edith, on your launch day. I did high-risk OB patient care during my years as a flight nurse, then spent five years in "regular" OB, so I've been in on multiple births, but thankfully never one in a plane or helicopter, but I think I would have enjoyed a home birth. When I lived in Texas I had a large, amazing garden (one of the few things I miss about Texas), so I'm in total agreement that gardening and the birth process have similarities--both can be very life-affirming. I'm a huge fan of Call The Midwives--like Marianne, I haven't read the book yet--and find the ensemble cast as marvelous as the story lines. I think the idea of working home births into your historical mysteries fascinating. Congrats again, Edith. I'm so pleased your hard work is being rewarded! 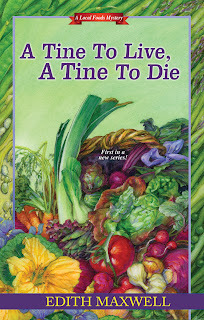 Happy Launch Day Edith, and I really do see the connection in the stories of birth and gardening; looking forward to reading A TINE TO LIVE, A TINE TO DIE. What a great idea to have a book signing at a farmer's market! Congratulations Edith. I really enjoyed the book and can't wait to see what is next for your quirky collection of characters. Only attended one birth - my son. And, yes, I cried. I just downloaded tine to live. Tried to on iBooks but that persistent iPad/iTunes/PayPal problem that no one can seem to fix. I wanted the colorful cover. My kindle has only b&w covers. I am looking forward to reading it. Happy launch day, Edith! Nice to see you posting here! I don't write terribly close to my own life, but in the upcoming novel, I explore, in part, my protagonist's feeling that she never really knew her mother. I now realize that I was processing some stuff I'd learned about my mom (a secret son, my half-brother!). Fascinating what leaks into our stories! Frankly, my various jobs weren't interesting enough to feature in a mystery series. :-) Technical writing? I think not. Happy launch day, Edith!!!! I just bought the book on Kindle, as I'm in the process of trying to pare down paper books before I'm buried under them... But it's on my tablet so at least I can see the beautiful cover. I've never been a great gardener, but I love organic produce and participate in a local organic produce share twice a month. Can't wait to read your book, and yes, I would love for you to include some of your birthing experiences in your books. If Call the Midwife is anything to go by, other people feel the same way. I used one of Jennifer Worth's (the series is bases on her memoirs) as research when I was writing about the East End of London in Necessary as Blood. I was so thrilled rediscover the wonderful characters in the TV series! Good look today, Edith! Have fun, and take pics for us! And if any of you can't make it to the launch party, but are free tomorrow night, Edith and Steve Ulfelder and I will be speaking at the Wilbraham Library in Wilbraham, MA. See you there Edith! Happy Launch Day, Edith! I'm looking forward to your book. I'd love to hear how you chose Tace as your writing name. The only time I've ever seen the name before was (Sorry!) on a headstone. Our niece has just about to retire from midwifery. She's going to miss "catching" those babies. Thanks so much, Diane, Linda, Kristopher, Linda, and Lisa! I just got back from the launch and it was wonderful, particularly to have my adult sons AND my two dear little friend who serve as stand-ins for the grandchildren I don't yet have, ages 4 and 7. Kristopher, so glad you liked the book! And Diane, attending a birth in a helicopter? Ack! Debs, thanks for getting the book! I'm doing the same thing with physical books - only buy it if a personal friend has written it AND I have a chance of getting it signed. Let's hear it for ebooks! Lucy! Looking forward to seeing you and Steve tomorrow. 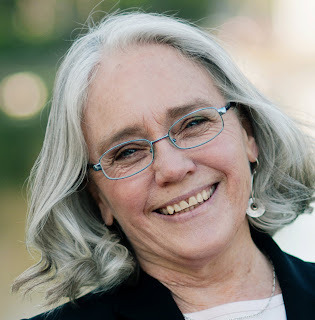 Darlene - that's the main reason I chose Tace when I was creating a pseudonym - you absolutely get a unique Google hit. It's an archaic Quaker name. Wilbraham--wow. Wish I could be there! What a great group..
DEtails,Edith! HOw'd it go!? What did you say? What was a wonderful part? Your story reminds me of several women I know here in the Maine countryside - intimately involved with raising food, raising kids (their own and others') and shareholding in their communities. It's always struck me as a very mindful way to live; conscious of the interrelationships that a lot of us miss. I'm also sure it's an experience that makes for great fiction--thus, A TINE TO LIVE, A TINE TO DIE! Edith, I'd like to chime in with Debs and others about Call the Midwife. I think you would love it. Even Steve loves it. He even records it on the DVR which he normally fills with Dexter, hockey, all forms of football, and more hockey. Julia, Thanks! Shareholding in the community - I like that. As for fiction - it's all material, right? Hank - I just asked my son Allan (we're now outside grilling and celebrating not only the launch but his 27th birthday) about a wonderful part. He showed me a video of the launch where I was describing, as a former academic, being out in the field consulting a book about how to prune the grapes! Pruning grapes! exactly. Happy Birthday, Allan! HURRAY! And the winner is: Dianne (from Orlando)! Email Hank at h ryan at whdh dot com to get your prize!